Replacement parts for the Elite cable connection at the base unit. To display video and save snapshots from the surgical microscope in Cascade software, a coaxial cable, analog to digital video adapter and a BNC to RCA adapter (Cadwell Part Number 277024-000) are required. Two cable lengths are available. All items are sold separately. 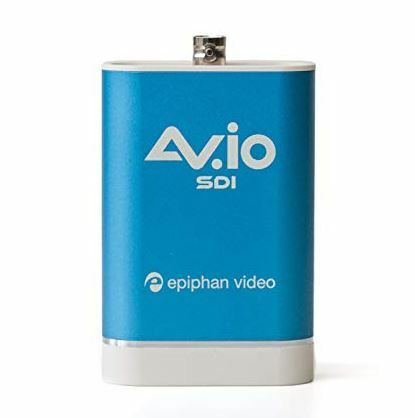 Requires the optional video monitoring software for Cascade, and a surgical microscope enabled with analog video outbout via BNC connection. 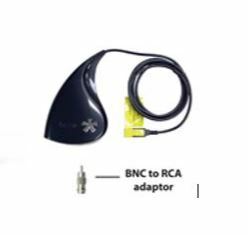 To display video and save snapshots from the surgical microscope in Cascade software, a coaxial cable, analog to digital video adapter and a BNC to RCA adapter are required. Two cable lengths are available. All items are sold separately. Provides an easy to setup means of preventing electrosurgical artifact from contaminating EP responses and EMG recordings. Attach the clip to the lead wire of electro-surgical tools and turn on the options in the Cascade software. One clip will handle multiple tools but when two electrosurgery units are in use, two clips may be used with a single module. The module plugs into the auxiliary port on the base of either Cascade or Cascade Elite. Clips are sold separately. These test arrays are plugged into the Cascade or Elite amplifiier inputs to test or verify proper impedance function during amplifier diagnostic testing. Replacement input extender pods for Cascade, Cascade Pro, and Cascade Elite systems. Allows monitorists to quickly locate sources of noise in the operating room. This detector is also great to trouble shoot noise in your clinic, office, etc...Stop wondering where the noise is coming from and find it. The 25 foot Stimulator Input Extender is used for attaching stimulator leads used with transcranial motor evoked potentials to the TCS-4 or TCS-1000 stimulators. It allows you to keep the TCS stimulator at a safe distance from the OR table, and away from potential accidental fluid or physical damage. Also, the small design saves precious space near the head of the OR table. The y-power cord adapter kit will allow a single power cord to connect to the wall outlet to power both the Cadwell IONM instrument and a Cadwell-supplied laptop with a 3-prong power entry connector. Only Cadwell approved devices (IONM system and laptop) should be connected to these power cord adapters. Note: A standard power cord is still required with the combination of 286121-000 and 286122-000. Power cord PN 286123-000 is shown as an example of a Cadwell supplied wall outlet power cord. This power cord may be interchanged with an equivalent Cadwell approved wall outlet power cord. Quick Adapts are a reusable accessory that allow quick and easy organization, insertion and removal of an entire pod’s electrodes all at once. Quick Adapts are sold as a pack of four in colors red, green, yellow and blue (1 of each). Variations in number of units or color combination are not available at this time. A Cadwell-branded black canvas pouch with zipper is included with this item.